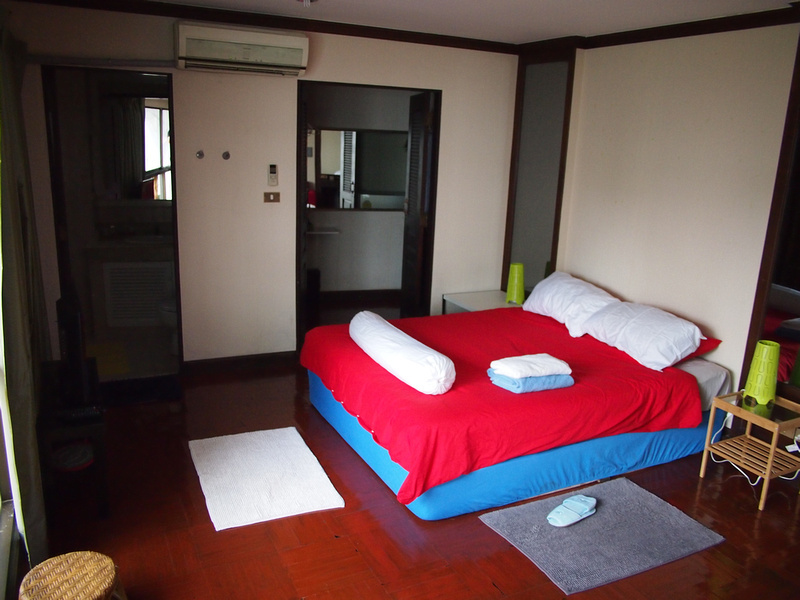 I booked an Apartment on Airbnb for my stay in Bangkok. I selected it for its location in Thonglor, which is Soi 55 Sukhumvit Road. I’m familiar with the area and I like it for being central without being right in the middle of the tourist mayhem of lower Sukhumvit. 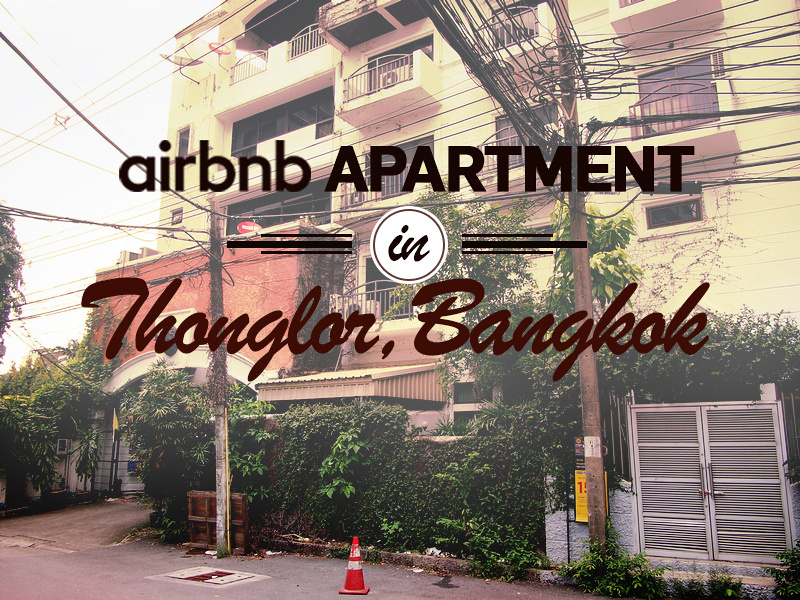 The apartment is a 15 minute walk from the Thonglor BTS station. I consider 15 minutes about the maximum for length of time from a station before it is too inconvenient. 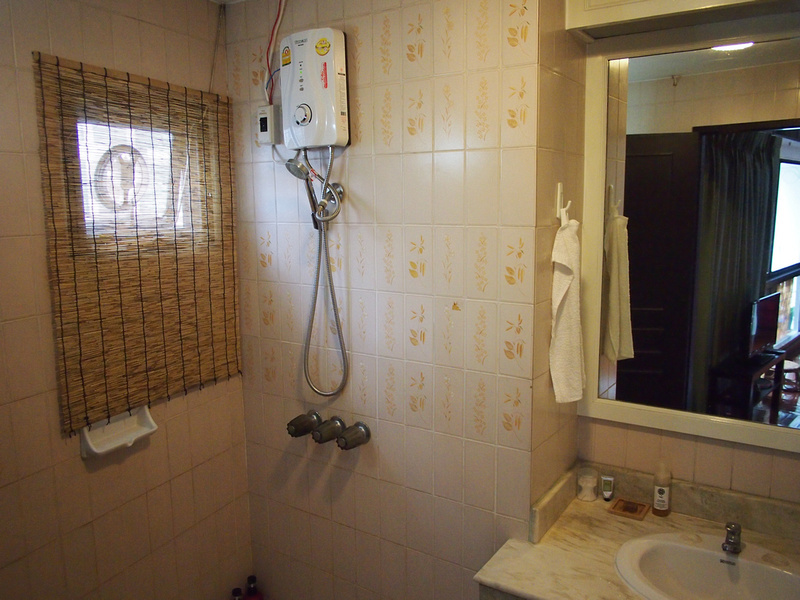 The apartment is a studio with an attached bathroom, but no kitchenette. 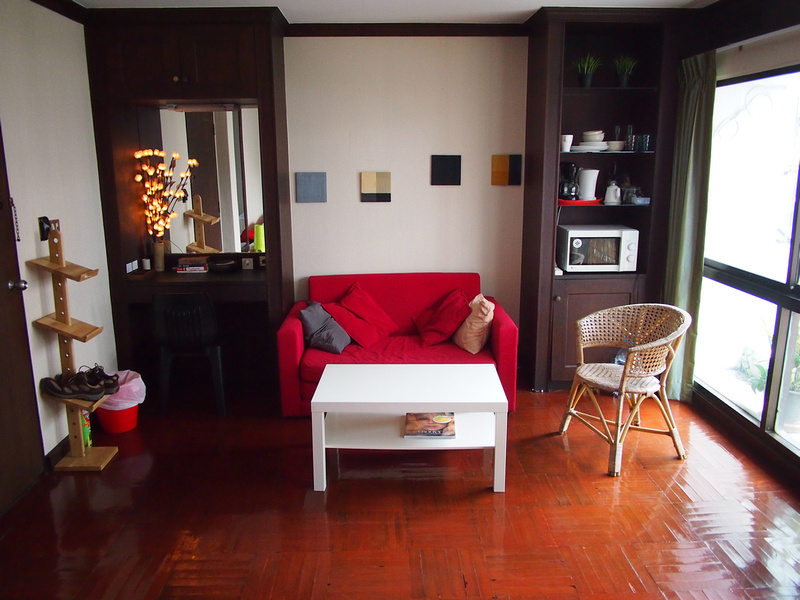 It’s in an old building and the apartment feels more like rooms in a big house, with the entrance being a common area. The living area was spacious with a comfortable bed. I liked how there was enough room for a lounge and tv area. The bathroom was a letdown for me as the shower drain was blocked. The drain pipe was big but the grill was built into the floor so there was no way to have a go at unblocking it myself. As a result the shower became a lake and would take ages to drain. The wifi was patchy, dropping out at times, and I didn’t have access to the wifi box. There was no place to put clothes either, so I was just leaving clothes in my bag. After staying in new apartments in Bangkok staying in an older place was a bit of a downgrade. I still prefer staying in apartments whenever possible, of which there are plenty to choose from in Bangkok. If you haven’t used Airbnb before you can get a $20 credit toward your first booking. If you prefer to stay in a hotel search for hotels in Bangkok. For Bangkok newcomers, find out which area is best to stay in.